Super Carnosine combines carnosine with multiple forms of vitamin B1 to help heal and protect the body’s cells from environmental damage. 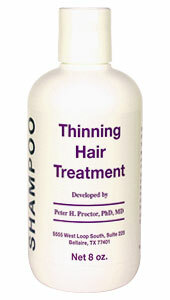 Works as an anti-glycating agent and powerful antioxidant. 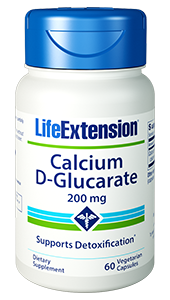 Purchasing this product today earns you 40 DR Reward Points! 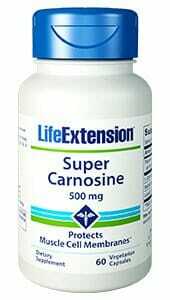 Super Carnosine from Life Extension combines carnosine with multiple forms of vitamin B1 to provide high quality antioxidants that help heal and protect the body’s cells from environmental damage. Super Carnosine specifically works as an anti-glycating agent to reduce the negative effects of aging on the body. Carnosine is a multifunctional dipeptide, a compound made up of the amino acids beta-alanine and L-histidine.1 It is found both in food and in the human body. Cells in the body that live for longer periods of time, such as nerve cells (neurons) and muscle cells (myocytes), contain high levels of carnosine.1 Muscle levels of carnosine correlate with the maximum life spans of animals. Animals that have longer life spans are found to have more carnosine in their muscles than those with short life spans. 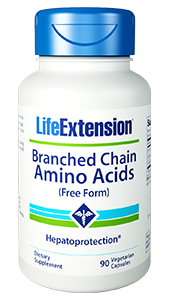 Together these make Super Carnosine a premiere supplement for supporting healthy life cycles in our cells and helping to reduce muscle loss, wrinkles, and other age related conditions normally caused by a decline in carnosine and by damage over time. 2. Arch Biochem Biophys. 2004 Jul 1;427(1):110-5. 3. Exp Gerontol. 2009 Apr;44(4):237-42. Epub 2008 Nov 11. 4. Ann N Y Acad Sci. 2002 Apr;959:285-94. 5. Biosci BiotechnolBiochem. 2002 Jan;66(1):36-43. 6. Nephron Clin Pract. 2007;107(1):c26-34. 7. Perit Dial Int. 2007 Jan-Feb;27(1):86-9. 8. Ann N Y Acad Sci. 2006 May;1067:369-74. 9. Protein J. 2011 Mar;30(3):149-58. 10. Acta Biol Hung. 2009 Jun;60(2):137-48. 11. Front Aging Neurosci. 2010 Mar 18;2:10. 12. Free Radic Biol Med. 2010 Mar 1;48(5):727-35. 13. Biochim Biophys Acta. 2009 May;1792(5):432-43. 14. J Alzheimers Dis. 2009;16(4):859-64. 15. Life Sci. 2002 Mar 1;70(15):1789-99. 16. Arch Gerontol Geriatr. 1999 Sep-Oct;29(2):107-13. 17. Am J Physiol. 1997 Jan;272(1 Pt 2):H462-8. 19. Pathol Biol (Paris). 2003 Dec;51(10):543-9. 20. Brain Res Brain Res Rev. 2003 Mar;41(2-3):306-23. 21. Arthritis Rheum. 2004 Apr;50(4):1207-15. 23. Can J Physiol Pharmacol. 2000 Oct;78(10):848-55. 24. Ann N Y Acad Sci. 2001 Apr;928:48-53. 25. Arthritis Rheum. 2002 Jan;46(1):114-23. 26. J InvestDermatol. 2002 Aug;119(2):489-98. 28. Curr Pharm Des. 2008;14(10):946-52. 30. Folia Med (Plovdiv). 1997;39(4):5-10. 31. Nat Med. 2003 Mar;9(3):294-9..
32. J Biol Chem. 2006 Apr 7;281(14):9307-13. 33. Diabetes Metab Res Rev. 2009 Oct;25(7):647-56. 34. Diabetes Metab Res Rev. 2004 Jul-Aug;20(4):330-6. 35. Srp Arh Celok Lek. 2009 Nov-Dec;137(11-12):594-600. Serbian. 36. Int J Clin Pharmacol Ther. 2005 Feb;43(2):71-7. Erratum in: Int J Clin Pharmacol Ther. 2005 Jun;43(6):304.